“…as why are Strawberries sweet and Cranberries sowre, there is no reason but the wonderfull worke of God that made them so…”. 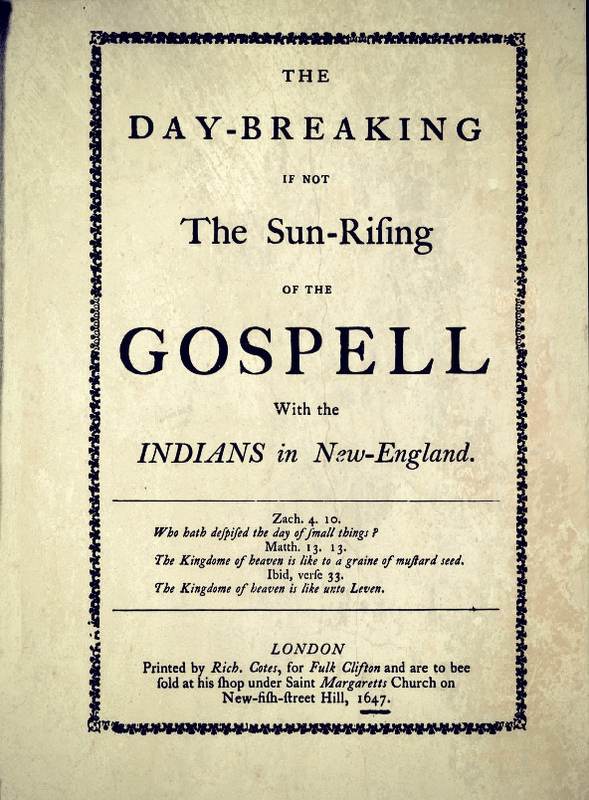 John Eliot, the Puritan “Apostle to the Indians”, used the “American” name rather than the preferred English fenberry (variantly bear-berry and mosse-berry) in his 1647 treatise The Day-Breaking if not the Sun-Rising of the Gospell with the Indians in New-England, one of several seventeenth-century references to the sour little berry that was so common in Massachusetts. 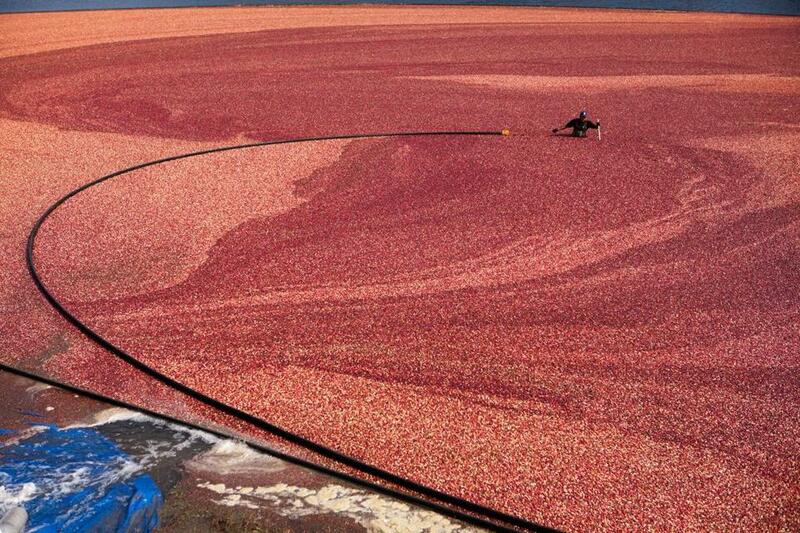 Along with corn, this was one native American crop that captured the attention of the English early on–though most of their efforts seem to have been directed at transforming cranberries into something sweeter: syrups, tarts, sauces. They could not ignore a berry that ripened in the winter! One last Thanksgiving weekend post on a fruit that remains one of Massachusetts’ few commercial crops, although we are no longer the country’s leading producer: that title is now claimed by Wisconsin. Still, there’s a major harvest every year starting in late September, and it’s a beautiful sight to see. I just couldn’t make it down to the southeastern part of the state this busy semester, but here’s a great recent photograph of a bog at the A.D. Makepeace Company in Wareham, one of the state’s oldest producers. 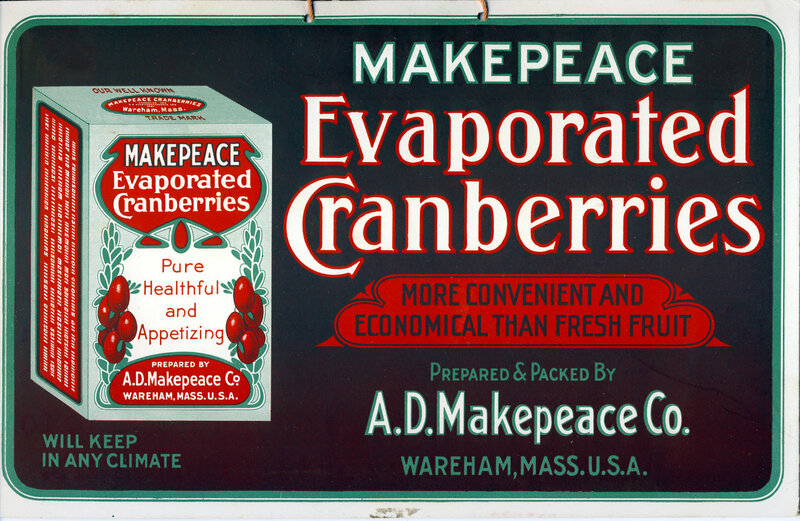 Photo credit: Charlie Mahoney for the Boston Globe; 1907 Makepeace Co. cranberry sign,Etsy. 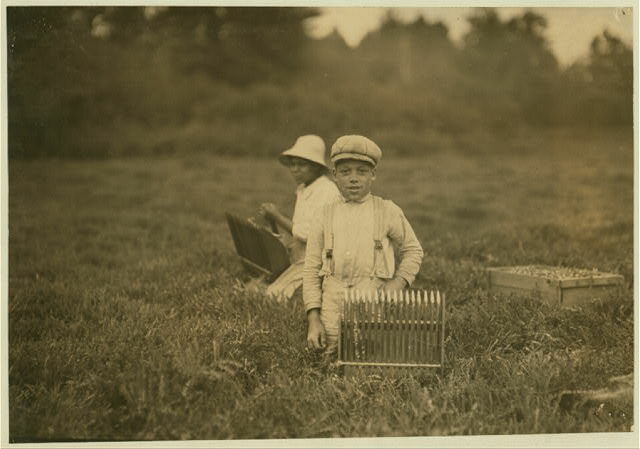 The conditions of cranberry picking have changed a lot over the last century, for the better. 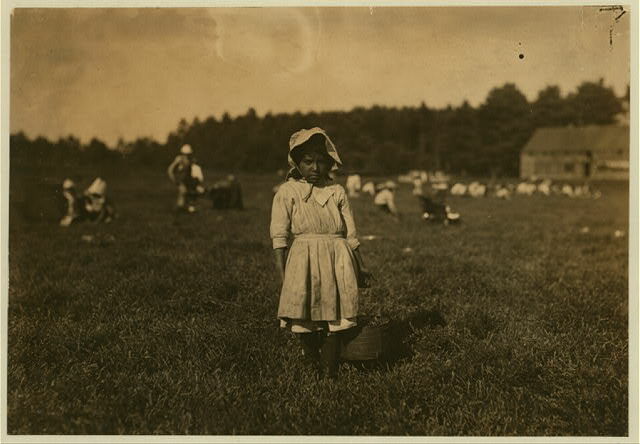 Documentary photographers like Lewis Wickes Hine focused on the industrial exploitation of child and migrant labor in the early nineteenth century, and contemporary photographs of very small children, native Americans, and newly-arrived Europeans (in the case of southeastern Massachusetts, primarily Portuguese “bravas” from New Bedford, led by bog bosses called padrones) abound. 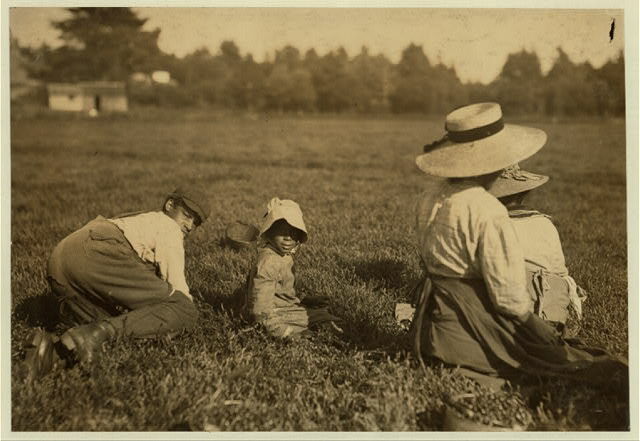 Portuguese cranberry pickers at the Eldridge Bog in Rochester, Massachusetts, and the “tenement” that housed them, September 1911, and a boy “scooper” at the Makepeace Bog. The caption of the last photograph reads: Gordon Peter, using scoop with metal teeth not covered. Said 10 years old. One of the smallest scoopers that we found. Usually scooping is done by adults. Been picking 3 years. 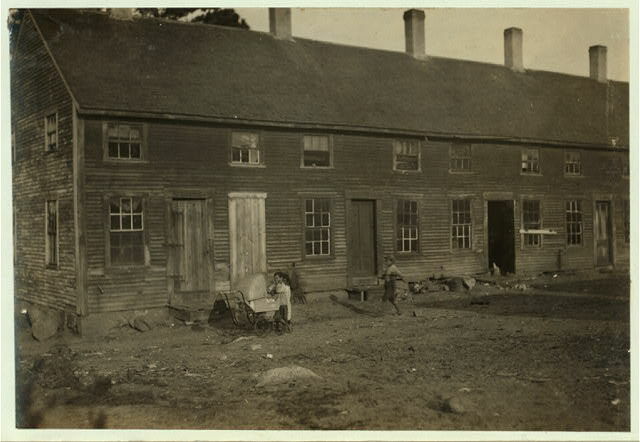 Location: Makepeace near Wareham, Massachusetts. Lewis Wickes Hine, Library of Congress. The pictures above contrast sharply with the recent photograph of the cranberry harvest at Makepeace, but also with artistic representations of cranberry picking in the nineteenth and twentieth centuries. Two paintings that fall on either side of Hine’s photographs are Eastman Johnson’s Cranberry Pickers, Island of Nantucket (1880) and Provincetown artist Ross Moffett’s circa 1930 Cranberry Pickers. 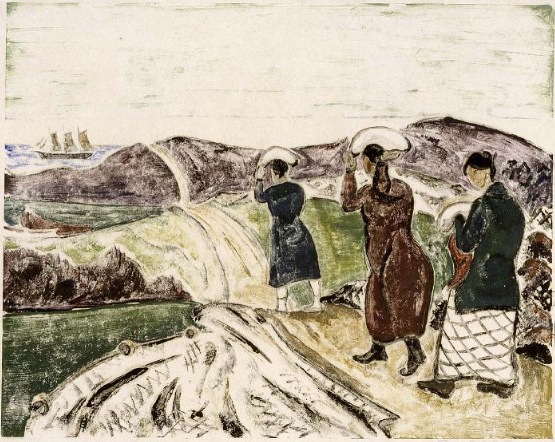 Moffett’s modernistic representation of the workers in their spare Cape Cod context is a lot bleaker than Johnson’s more romantic image, but both artists seem to focus on the landscape at least as much as on the pickers. Eastman Johnson, Cranberry Harvest, Island of Nantucket, 1880, Timken Museum of Art, San Diego; Ross Moffett, Cranberry Pickers, c. 1927-30, Smithsonian American Art Museum.